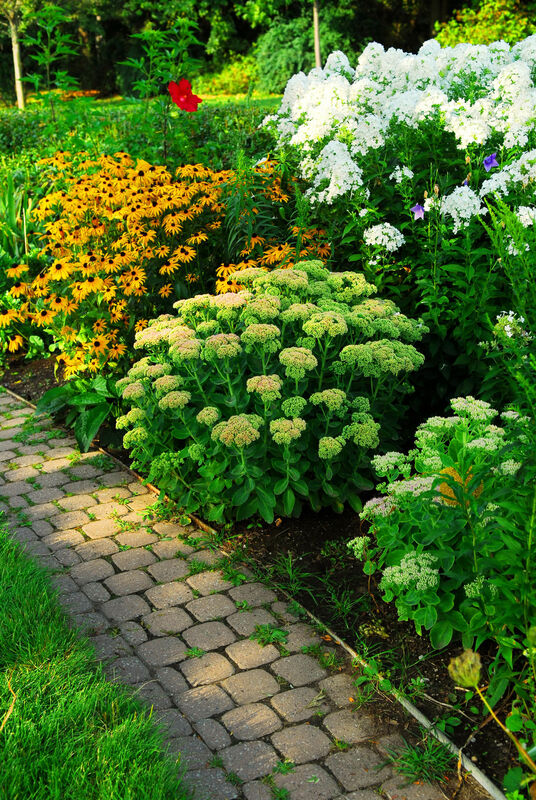 Is your garden path a step in the right direction? Wait for a dry day before you begin. Now it's time to get on your hands and knees, so get knee pads or something soft to kneel on - you'll thank me for this tip! You need to get the broken mortar out of the joints and bag it up in rubble sacks as you go - you'll be surprised how much comes out. There are a few tools you'll need for this job: a hand brush (that you don't mind ruining), a pointing trowel, a hammer and a tool called a cold chisel. This is a tool I've probably used every week since the day I started building. You'll be surprised by how many uses you find for it - prising stuff, wedging things open, cutting heavy-duty things. You'd blunt a lot of wood chisels before you even made a dent in one of these, and it'll probably last you a lifetime. 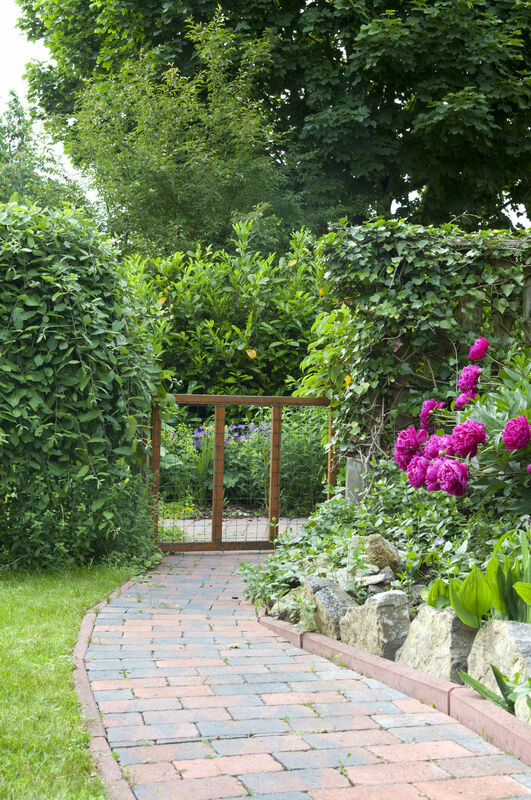 Does your garden path need a bit of TLC? Cut out about 30cm squared of your plastic sheeting and dollop about a honeydew melon-sized amount of mortar onto this. Flatten the mortar down slightly with the back of your trowel to spread it out on the sheet. Pick up some mortar on your trowel, flop this into the joint between paving slabs and, using the edge of your trowel, chop it into the gap. Keep doing this until you're flush with the top surface of your paving stones. 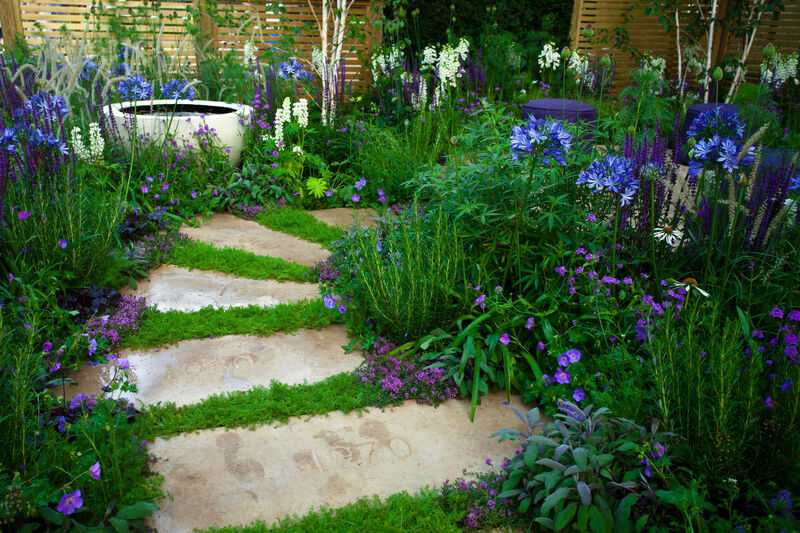 To flatten the mortar to the level of your paving stones, smooth the trowel towards you with the flat of your trowel. Chop the next bit of mortar in and always smooth this into the mortar you've already done. Keep going until you've run out of mortar (or energy) and then mix up some more. As you work, there may be some paving slabs that pop up. This can be because roots have got underneath them, but it could also be an ants nest undermining them, for example. 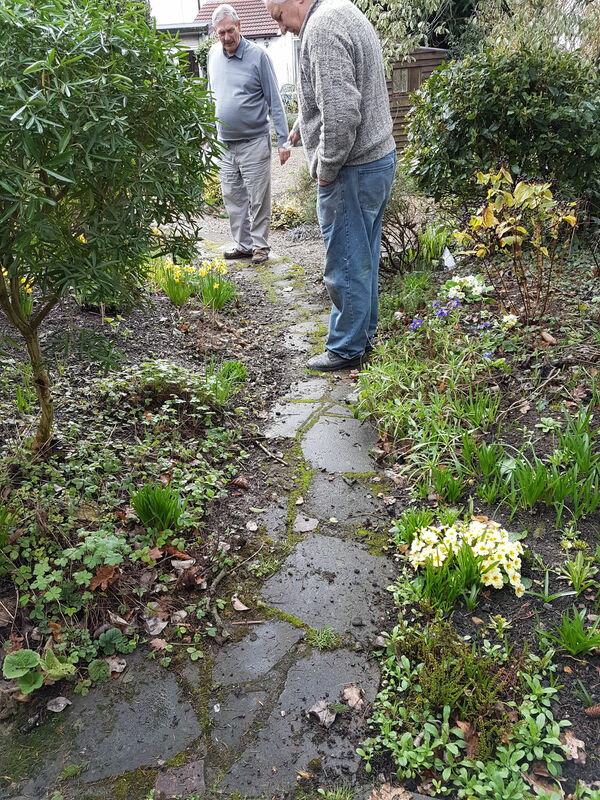 Lift your slab, scrape or cut away what has made it pop up, and put down a layer of mortar to lay the slab on. This can't be a smooth layer or your paving stone will have nothing to bed-in to, so chop the mortar in - as described before - and put a chalk cross on this slab, so you know not to tread on it. Mortar doesn't take too long to dry, but make sure you don't walk on your path until at least the following day.